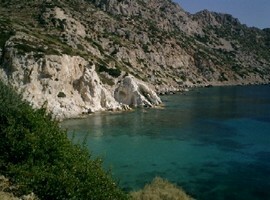 Chios is a popular resort among the Greeks, but not too many foreign tourists visit it. Consequently, you get a taste of real Greece there, and if you decide to explore the island of Chios, you will find some amazing beaches and villages that have remained untouched and authentic. 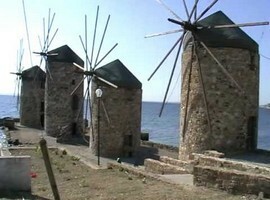 Tourism in Chios, to some extent, is an employment of the inhabitants, but not the main source of income. One of the most important products of the island is the production of gum. 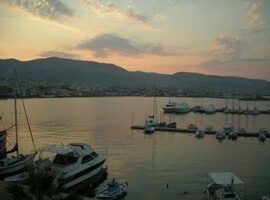 The traditional Chios is an island of seafarers, especially captains. 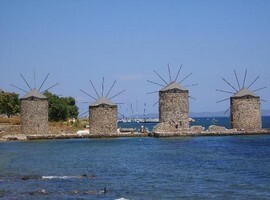 According to some, Homer was born and lived around the 8th century BC in Chios. Of course, there are many more islands where they claim the same, and since we do not know even if he was a real person, speculation is somewhat futile. The island’s name may be derived from the Greek word for snow, since the ancient patron god of the island, Poseidon, was born beneath snow. In antiquity the island was quite rich because of gum and wine, also Chios was the first place in Greece that used slaves. Chios fought with Athens against the Persians in the 5th century BC, and later the island was conquered by the Macedonians, Romans, Venetians and Turks. 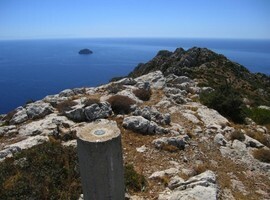 There is a stone on the island called Stone of Homer, where the poet used to sit and write, according to the tradition. 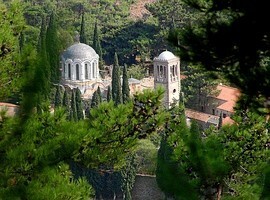 One of the most importand sights in Chios is the St. Marcella monastery. 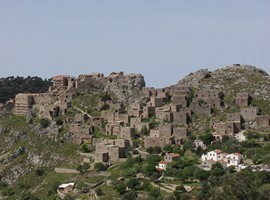 The St. Marcella is a monastery open to visitors, located outside the village of Volissos. St Marcella is celebrated every year on July 22. Nea Moni is another monastery, and perhaps the most visited of the two. It dates from the 11th century AD. if you want to visit the monasteries, make sure you are properly dressed: long skirt for women and long trousers for men. The so called mastic-villages are where the mastic tree grows. The tree has a special kind of resin, used for chewing gum, toothpaste and local sweets. 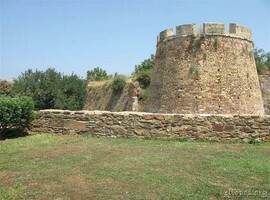 Here there is also a 15th-century castle, some old churches and ruins of an ancient temple of Athena. To really appreciate the island, you should try to explore the whole island as it has some very beautiful places that should not be missed. 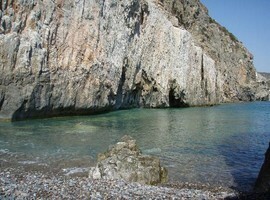 In Chios you can enjoy various water sports. 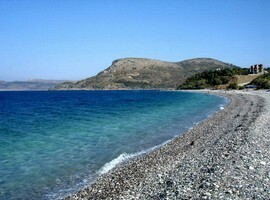 The most popular beach is perhaps the nails, but there are other well-developed beaches around the town of Chios. For more peace and quiet go to the beach of Kato Fana, for example, but it is also a good idea to try and find your own place. The best way to do this is by renting a vehicle, because Chios Island is big and has many beaches where you can enjoy swimming, fishing and diving. 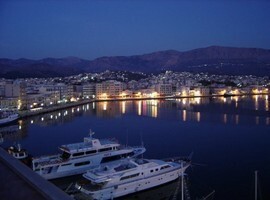 Most bars and discos lie in the Chios town and in Karfas town. The nightlife is very intense, and you can enjoy all kinds of music. You’ll find various souvenirs of the island, but it is recommended to buy some gum for home. You can also buy ceramics and local wine. It’s a good idea to rent a vehicle here since the island is very interesting and worth a spin. 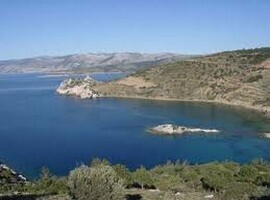 The quickest way to go to Chios is to fly to the airport of Chios. Another way is with ferries to Chios. 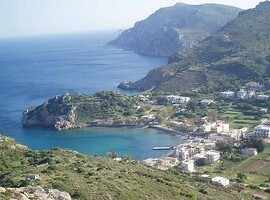 The island also has ferry connections to other islands like Lesvos, Kos and Rhodes, and Thessaloniki.